“I need to lose weight, but don’t have the time or money to go to the gym”. From time to time most of us have a desire to lose weight quickly. Special occasions and beach holidays are great motivators to lose weight but it can still seem impossible if you have a lack of time, money or both. However, the good news is you can successfully lose weight at home combining a healthy diet and lots of exercise and not a ‘fad’ or ‘crash’ diet in sight. To lose weight you need to burn more calories than you eat – simple. However, eat too few calories and your body goes into starvation mode, slows your metabolism and your ability to burn calories. Very low calorie diets (less than 600 calories a day) are dangerous as the body loses too much lean tissue as well as the body fat. They are also much harder to stick to!! To lose weight quickly you may need to eat more than you think. It’s not just what you put into your body but how and when that could also make a surprising difference! Skipping breakfast is a bad idea when it comes to weight loss. You start the day weak and your hunger cravings increase, causing you to overeat at lunch. Try wholemeal toast, poached eggs, avocado, wholegrain cereals or fruit. Skipping any meal slows down your metabolism. Ensure that you have three meals a day or you may be prone to tiredness and headaches. Chaotic eating habits may actually lead you to eating more. Eat Dinner by 8 p.m.
After 8pm, the function of our digestive tract and release of digestive enzymes slows down, leading to our metabolism slowing down. Try drinking herbal tea or brushing your teeth immediately after dinner to help prevent cravings. Water is a great detoxifier that keeps you hydrated and feeling full. Add a dash of citrus juice to help with the flavour if you’re not keen on plain H2O. Substitute juices and fizzy drinks for water to avoid extra calories. Drinking a glass of water 30 minutes before a meal will also help you feel full and eat less. Overcooking food kills or reduces the nutrients. When you don’t eat enough nutrients you feel less satisfied and are prone to junk food cravings – way to go to break your good habits! To prevent this, ensure you eat raw foods such as salad and sushi, steamed vegetables and baked meat or fish. Having fruit on an empty stomach helps detoxify your system as well as giving you lots of energy which will help you lose weight. If you eat fruit at least 30 minutes before any meal it will digest quickly. Ensuring you get 8 hours sleep will make all the difference in helping you lose weight. Most of us assume our bodies burn more calories when we are awake longer, but that’s not true. Our metabolic rate is down-regulated with less sleep. So when you sleep less, your body starts to burn calories at a slower rate to preserve energy. A quick 20-30 minute workout every day can make a real difference! So you can exercise at home in the time it would take you to drive to the gym! Top 10 Fat burning exercises to do at home. Burpees – This at home cardio move tones your core, upper body and legs all at once- it’s a triple threat exercise that everyone tends to dread for a good reason; it’s hard! But it also works. Jackknife Crunches – These are an advanced abdominal move that engage both the upper and lower abs for maximal toning in the least amount of time. They are especially beneficial because lower abs can be hard to target without equipment. Jumping Squats – Do these for a minute or two straight and you won’t have any doubts about how challenging it is. Push Ups – A total body exercise that can be easily modified or made to be very challenging, even for the most avid exerciser. Side Planks with Leg Raises – Specifically targeting your outer thighs, obliques, and deltoids, it also requires the strength and coordination of the entire body to hold up the best side plank. Lateral Jumps – Tone your core, glutes, and thighs with this one simple move. Because all of the large muscle groups involved, you burn a high number of calories while you are toning. Mountain Climbers – These can feel like a punishment, but they truly are one of the best overall toning and fat burning moves out there that don’t require equipment. Jumping Jacks – This simple at home cardio essential is an excellent way to get your heart rate up quickly. Add it in between strength training sets to keep your calorific burn high. Looking for more? 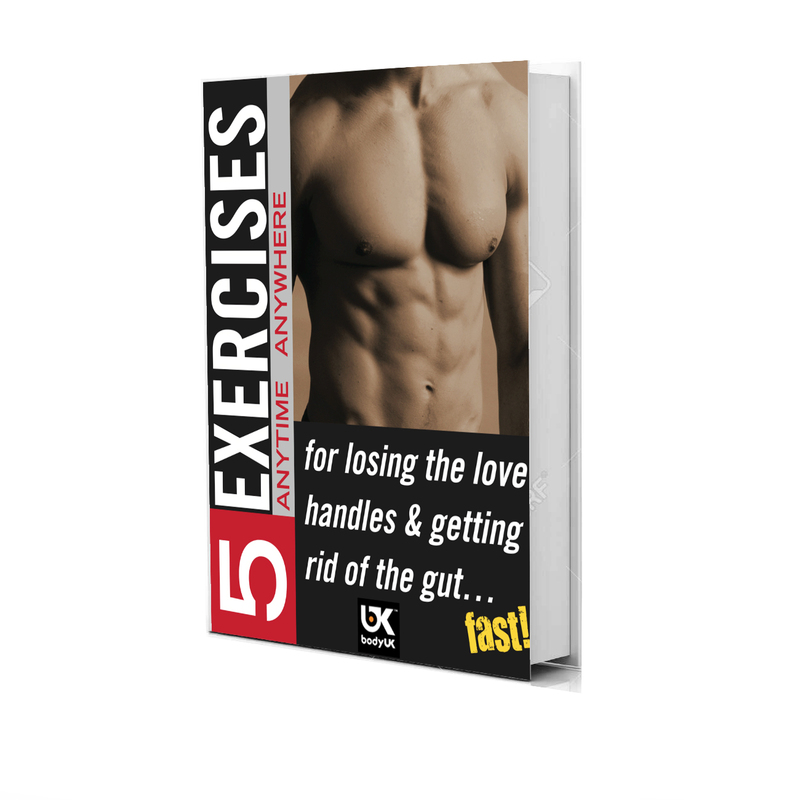 Download our 5 Anywhere Anytime Exercises Free Guide for new and exciting ways to improve your fitness routine. You can also contact us to see how we can help you lose weight more efficiently. Are you going to be fit for summer?